In the early years of settlement in Brisbane, the well-to-do built their houses on the numerous hills and high spots around the settlement. I often try to imagine what the vista would have been like in various places - like the area we are looking at today, Wilston. 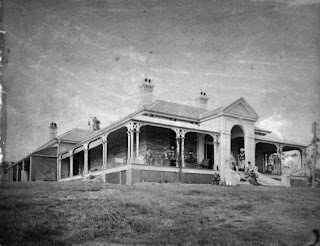 Wilston House was built on a hill around 1876; its nearest neighbour was probably Judge Cockle's house Oakwal, on another hill about 1.5 kilometers to the east. In between were a couple of farms with a cattle sales yard and a tannery along Enoggera Creek to the south. Wilston House was built by businessman William Wilson to a design by busy architect James Cowlishaw who had also designed Oakwal. The house is a low-set brick construction with wide verandahs and bay windows. Here it is, pictured circa 1880. 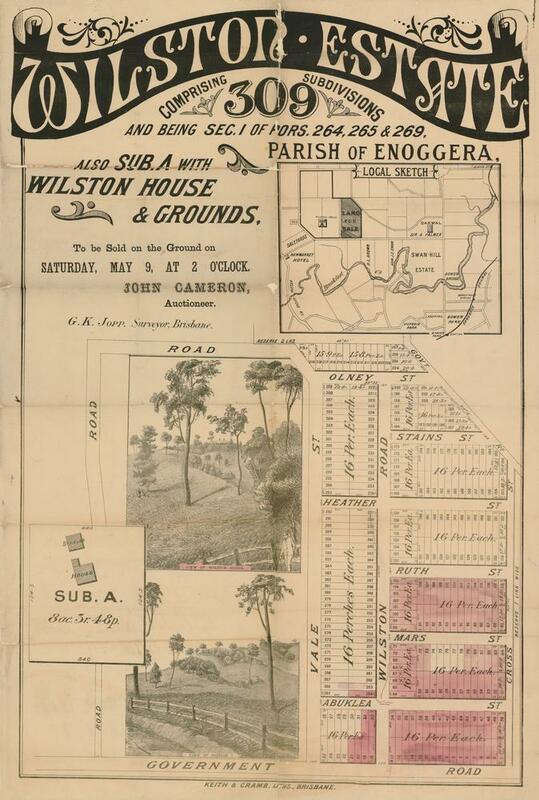 William Wilson owned land of more than 35 hectares (87.5 acres in the old money) here, but it is possible that he hit hard times in the mid-1880s because the property was sold to a John Stevenson MLA, who subdivided a portion of the large land holding. 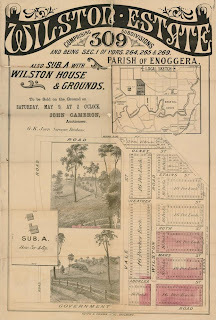 The first allotments were sold by auctioneer John Cameron in May 1885. "drawing and dining rooms elegantly finished, entrance hall, library, breakfast room, five bedrooms [all lofty, spacious, and well ventilated] - verandahs, kitchen, servants' quarters, scullery and storeroom. The grounds contained stables, carriage-house, buggy-shed, harness-room, man's room and hay-house - [possibly housed in one or two structures] - underground tanks holding a domestic water supply, and a flower garden." 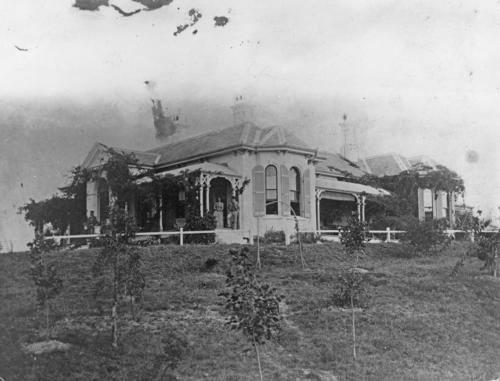 Either politicians had money or men with money became politicians, because John Stevenson MLA sold the house and remaining property to soon-to-be premier Boyd Morehead MLA in 1898. 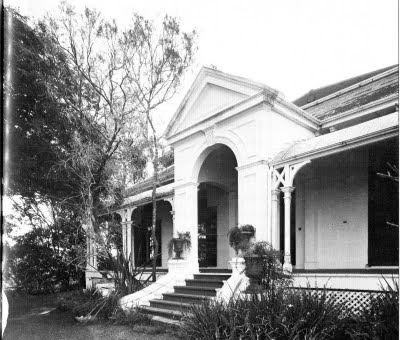 From then the house was owned for extensive periods firstly by Major WG Cahill, (formerly the Commissioner of Police and then the governor's aide-de-campe); followed by Major A Wynyard Joss, veteran of the Boer War and WWI. It is possible that the house is still owned by his descendents. The stately house remains on land that is little more than an average suburban lot, the interior apparently still virtually intact, surrounded by trees that were planted around the beginning of the twentieth century. It's a shame when grand houses like this sit on a suburban block. Whenever I drive along Watson St I feel as if I'm intruding on the house it's that close to the road now.